London is an internationally recognised leader in adapting to climate change. This is due in no small part to the efforts of the London Climate Change Partnership, a grouping of Public Sector, Private Sector and Civil Society bodies whose aim is to make London the most climate resilient capital city in the world. Its partnership model of operating and its adaptation pathways approach to risk management are at the forefront of best practise, and have been adopted by cities elsewhere in the world. London is a highly-regarded member of the C40 Cities initiative and was selected to be one of the Rockefeller 100 Resilient Cities. But we should not stop here. Climate change is not just an environmental issue, but is a “threat multiplier” exacerbating social, economic, and environmental challenges. As the nature, scale, and pace of climate change threats become increasingly apparent, investment decisions, and societal planning need to take a risk management approach, minimising the likelihood and impact of the major threats and ‘avoiding the unmanageable whilst managing the unavoidable’. Strategic planners need to address the question “What is the worst that can happen?” In this way the city can continue to pave the way forward, building on its already established track record and leading by example. How can the new Mayor of London help? He or she will have the responsibility and influence to enable and encourage London’s resilience to climate change. Current extreme weather in London already challenges our ability to cope with flooding, heat, drought, and storms. The effects of extreme climatic events worldwide on the supply chains and costs of London’s businesses are already evident. In magnifying these challenges, climate change poses a real and growing risk to Londoners—our homes, businesses, infrastructure, and economy. Consequently, the new Mayor’s policies and positions will be pivotal. Without clear plans and actions the city’s social, environmental, and economic security will be at risk. Design and development of new homes with regard to more severe droughts, flooding from rivers and intense rain, and summer heatwaves. Fiscal incentives for landlords and businesses to improve resilience. Increased resilience of transport to weather extremes and to changes in travel patterns that might accompany severe weather events. The need to adapt existing and planned transport infrastructure to a new climate over the course of its lifetime. Increased resilience of supply chains, financial assets, workplaces, employee wellbeing, and commuting capacity – with significant implications for London’s economy. Awareness of big corporations and corner shops alike on the implications and the actions required to prepare. Advice and guidance, including green solutions, to help businesses cope with severe weather now and into the future. The encouragement of large corporate investors to play their part. Expansion of high-quality parks and open spaces help to assure the health and wellbeing of those who work, live, and play in London. These also provide valuable natural resilience to heat and flood risk. Addressing the risk that climate change will worsen inequality, disproportionately affecting those least able to respond and recover. 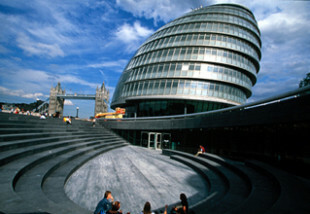 The London Climate Change Partnership has been at the helm of these efforts for over a decade. It has brought together and coordinated public, private and community sector organisations to design and deliver resilience projects across the capital and nationally, in partnership with Climate UK. It is now ready to assist London’s new top official construct policies and plans that will define climate resilience in the capital for years to come.